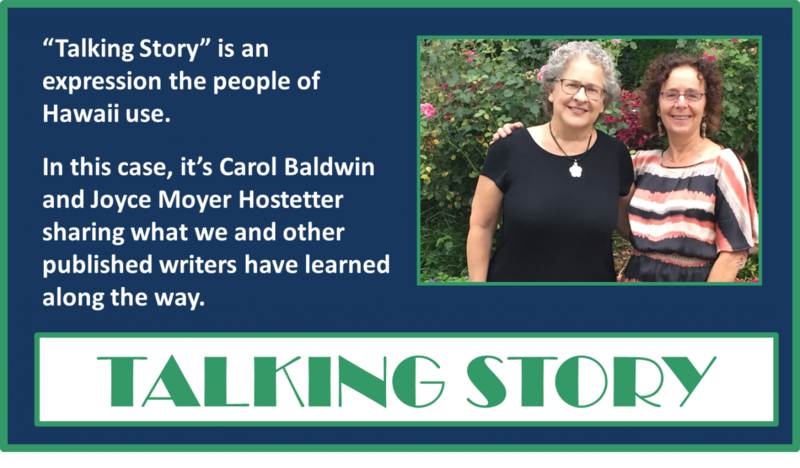 To receive email from JoyceHostetter CarolBaldwin, add jctalkingstory@gmail.com to your safe sender list. "Jim Crow's not law anymore, but it's still in some people's hearts.I don't let it get to me, though. I just laugh it off, child. I never let prejudice stop me from what I wanted to do in this life." Sarah Delany, age 103. (Having Our Say, p. 72). Ms. Delany (1889-1999), the daughter of a former slave, was the first black person permitted to teach domestic science in New York City. Her words echo the resiliency, determination, and courage heard in our expert, Francisco Jiménez's, journey, as well as in our featured books. As our teen reviewer points out, prejudice affects many different people. We hope the content of this newsletter will help equip you and your students with tools for facing and overcoming prejudice. It is unfortunate that our country is in the middle of strife and division about immigration. I believe that one of the causes of this problem is our lack of understanding of our country’s history: a history of immigrants. Our lack of knowledge of and respect for immigrants results in prejudice and discrimination, which in turn may lead to fear, sadness, stress, anxiety and even anger. I know from experience how it feels to be discriminated against and to be a victim of prejudice. When I was in elementary school, some children made fun of me and excluded me from participating in team sports because I had an accent and did not speak English well. In high school and college, some girls I liked were not allowed to date me because I was Mexican. I felt hurt and sad. I gradually realized that discrimination and prejudice often result from ignorance--people fear what or whom they do not know. This is why it’s important for us to learn about the experiences of all the different groups that make up our diverse society. 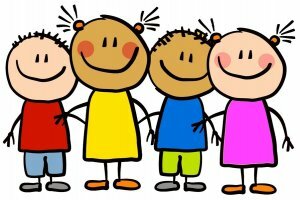 As we share with and learn about each other’s rich ethnic cultural background and contributions, we make connections; and when we make connections, we break down walls that separate us from one another, we become enriched and, consequently, we take comfort and rejoice in our shared humanity. I would like students and teachers to know that I wrote The Circuit, Breaking Through, Reaching Out, and Taking Hold: From Migrant Childhood to Columbia University to document part of my family’s history but, more importantly, to give voice to Mexican immigrants. Their courage, struggles, and hopes for their children and grandchildren gives meaning to the term “the American dream.” I hope young readers will become more compassionate, appreciative and respectful of all peoples and cultures. Author and educator, Francisco Jiménez emigrated with his family from Tlaquepaque, Mexico to California. As a child he worked alongside his parents in the fields. Dr. Jiménez’s autobiographical books The Circuit: Stories from the Life of a Migrant Child, Breaking Through. Reaching Out, La Mariposa, and The Christmas Gift have won several national literary awards, including the Boston Globe-Horn Book Award. His latest work is Taking Hold: From Migrant Childhood to Columbia University. 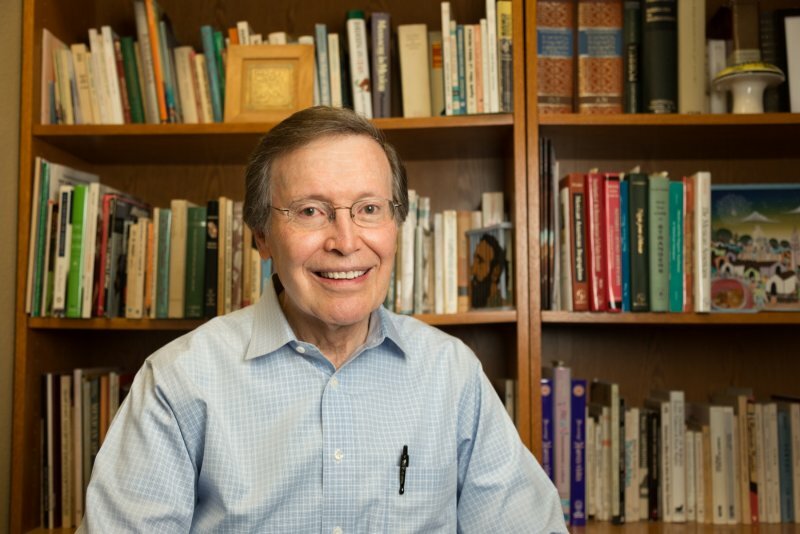 He is currently Professor Emeritus in the Department of Modern Languages and Literatures at Santa Clara University. 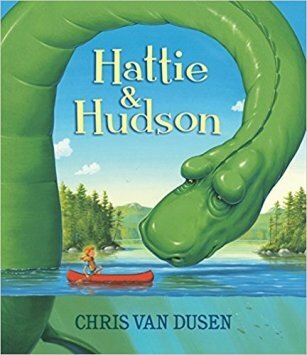 Chris Van Dusen brings us a story of an unlikely friendship between Hudson, a huge mysterious lake creature and Hattie, a little girl who recognizes him for what he is - a playful soul who wants friends. Together, they help the townspeople shake off their prejudices. As you can see from the cover, the illustrations are luminous, whimsical, and filled with heart. Buy this book for the illustrations and also because the story is marvelous and comforting. Every child will relate to Hattie and Hudson. Do their feelings change as they move through the story? Why is it easier for some people to accept new people or ideas than it is for others? Have they ever felt prejudged? What suggestions do they have for overcoming prejudice in themselves and in society? Foods they haven't yet tasted. People they don't actually know. Customs or celebrations they have never experienced. Places they have never visited. Why do we form opinions before trying things? Who do we allow to influence our opinions? Is it wise to just believe what others tell us without finding out for ourselves? What pleasant surprises have you discovered when you actually tried something or someone you were uneasy about? What changed your mind? Encourage students to journal about things they feel prejudiced against and to think reflectively about whether they might let go of those ideas. What would happen if they allowed themselves to try new things or relationships. Cracker lives in a world of salt, sea, and sunshine, oblivious to the cruelties of mankind. Until the day a couple of kids stumble across him and laugh at how he runs sideways. Their words sink deep, causing bruising and scarring. He begins to despise what makes him unique. As he roams the beach in anger, he stumbles across another “different” creature. This creature doesn’t walk straight either. In fact, she doesn’t walk at all. And when she sees his fast little sideways feet, she laughs. A happy laugh. She doesn't care that he walks sideways, but only sees the beauty in being able to walk at all. Cracker is happy to bring joy to another and is finally happy with the way he is. He had something that this girl could only dream about--and that is special. Carrie is unaffected by the electric waves of bigotry charging 1923 Minneapolis. Until she meets Dvora. Dvora is a Jewish orphan being raised by her uncle. She speaks very little English and is desperately attached to the babushka (headscarf) her mother gave her on her death bed. An unlikely friendship builds between the two girls, each imparting the other with something she lacks. Carrie realizes the evils of bigotry and is given a new sense of compassion for those assaulted by it. Dvora learns that people don't understand what they don't know and finds the courage to speak out. With this new found awareness they both work together to dispel wanton hatred from their community. 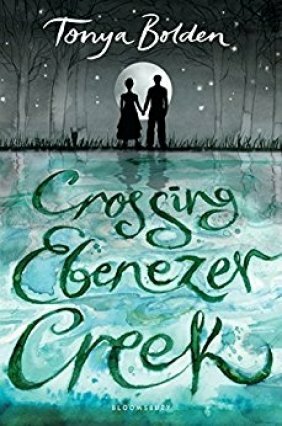 Seventeen-year-old Sarah agrees to take a Vermont summer job as a cook’s help at a camp for rich white girls. Having grown up in Sumter, South Carolina where blacks are banned even from borrowing books from the library, Sarah believes that things would be different in the North. She is mistaken. Northerners, just like Southerners in the 1960’s, judge a person by their skin color. Blinded by her hatred for how she has been treated, Sarah almost misses a chance to learn that not all white people are the same. 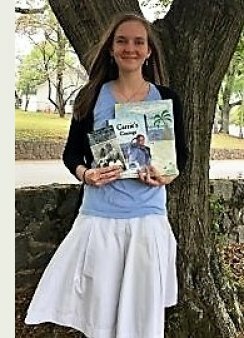 Genna McCurley is an avid reader who also enjoys playing the piano, ukulele, violin, doodling, and dabbling in languages. She looks forward to being a wife and mother one day. Have you noticed the "Share" button on the top of this newsletter? If you share TALKING STORY either on social media or email it to a friend, we will enter your name in our giveaway. Please email by April 30, tell us what you have done, and your book preference (we try to honor requests) and we will add your name to the hat! If you're having trouble emailing us, try using CHROME browser. and we'll enter your name to win one of the three books below. Each will intrigue a young reader in your life. If you have a book preference, please mention that. We try to honor requests. 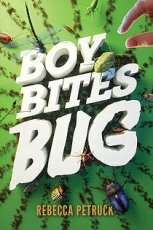 See Carol's review of this new MG book here. Once upon a time I decided to write a story that could have occurred in "my own backyard" as Joyce recommended. At the time I was living in Charlotte, NC and I began imagining the people who lived there and how they could have been connected with one another. Walking through the halls of a former Rosenwald school, i scanned the principals' photographs on the walls. A few surprised me. Did this black school have white principals? No. These were light-skinned African Americans. What were their stories? That was one of the inspirations for Half-Truths: my WIP about Kate Dinsmore, a white girl who discovers that a black teen is her second cousin. As I researched I realized how much I didn't know about black history. I attended a White Privilege class and became more aware of my own prejudices. My journey in self-awareness has paralleled Kate's. Or maybe, her journey informed mine. Trudy Goforth and Ramona Behnke each won a copy of Mercedes and the Chocolate Pilot. Alex Baugh won The Enemy: Detroit 1954. Gail Hurlburt won A Night Divided. Francisco Jiménez for being our expert. 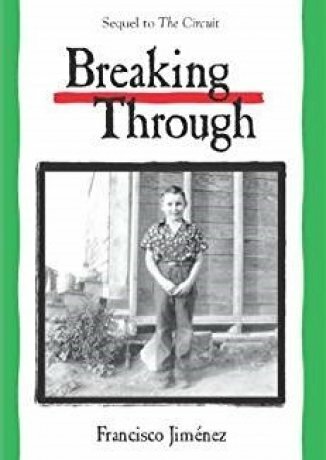 Houghton Mifflin Co. for Breaking Through. Sleeping Bear Press for W is for Welcome. Rebecca Petruck for donating a copy of Boy Bites Bug. You can contact us through the newsletter or individually at the following websites. We're also both available for school visits.